McNary bowlers wanted to send senior Nick Blythe out in style by winning a state championship. The Celtics got mighty close, falling to Mazama High School in the finals at KingPin’s in Portland. After finishing third out of 16 teams during 30 qualifying games on Saturday Feb. 25 and Sunday, Feb. 26, McNary won three matches in the winner’s bracket to get to Mazama. Even averaging 220 in the two-game set, the Celtics fell to the loser’s bracket, where they won two more matches to get a rematch with undefeated Mazama. Having to win twice, McNary put the pressure on their opponent by winning the first set of games and even led after the first game of the second set but Mazama came back strong to win the state title. The Celtics averaged over 200 in the finals. 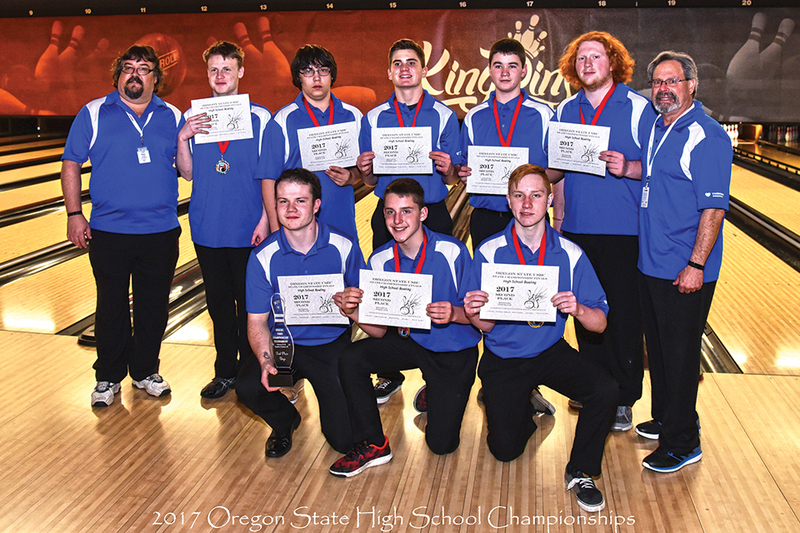 McNary had four bowlers in the top 20 of the all-stars—Nick Blythe, Tim Kiser, Layton Thurlow and Chandler Gregory. Kaplan said at one point Kiser bowled 21 straight strikes. The McNary girls also competed in the state tournament, finishing 13th. Kaplan said McNary’s success wouldn’t be possible without the support of Town & Country Lanes as well as sponsors Thrivent Financial, McNary Booster Club, JC’s Pizzaria, Power Concrete Cutting, Keizer Elks, Mr. and Mrs. Sjullie, Maragaret Hughes and Alex Clark. He also thanked the many parents who boost team morale and coordinate buying food for the team. “As coaches, we can’t do it alone,” Kaplan said. Eight-year-old Lauren Sims wants a dog. But not just any dog, one that could very well save her life. Two years ago, Lauren was diagnosed with type 1 diabetes. Now she’s working as an ambassador to Service Dogs by Warren Retrievers (SDWR) to amass the $25,000 needed to cover the costs of the pairing her up with a diabetic alert dog. “They will have a trainer come up from California and spend four days with us to help us get to know each other and work together. It costs a lot,” said Lauren. When Lauren was 6 years old, just after starting kindergarten, she began acting different than she had up to that point in her life, said Tania Sims, her mother. “For a couple of days, Lauren woke up four or five times a night and go to the bathroom, then she would immediately want something to drink. That wasn’t something she typically did. On top of that I would be taking her to school and we’d be talking like we usually did and she would suddenly get hungry and demand something to eat,” Tania said. After just a few days, Tania turned to the internet and began looking up the symptoms Lauren was experiencing. Every clickpath led to type 1 diabetes. Tania took Lauren to the doctor and a blood test showed Lauren’s glucose levels at 500. For the average person, the number should be around 100. She was checked into Doernbecher Children’s Hospital in Portland for a battery of tests in the following days. Type 1 diabetes is the result of the body not producing enough insulin. It’s an autoimmune condition in which the immune system mistakenly attacks cells in the pancreas that produce insulin. Insulin controls the amount of glucose/sugar in the blood stream. Diagnosis means constantly checking blood sugar levels and injections of insulin to modulate one’s glucose levels. The diagnosis put Lauren’s family into a tailspin for a few months. “All we did was eat out because we could look at a website and find out how many (blood glucose) points everything was worth. A McDonald’s hamburger is the same every time and everywhere. It was a known quantity,” Tania said. As her parents gained confidence in their ability to measure and monitor Lauren’s intake, the family started eating at home more and everyone was healthier for it. 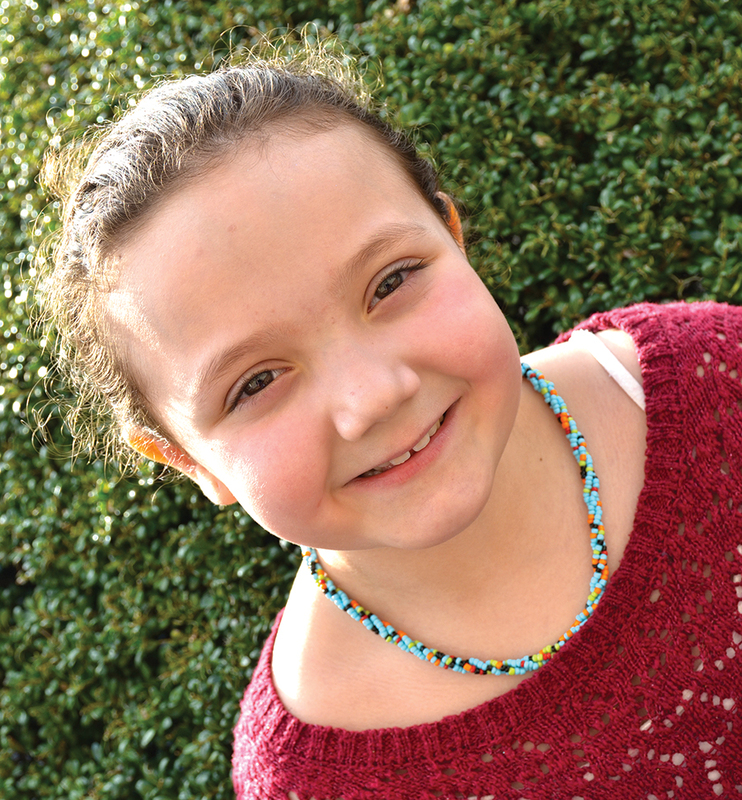 About a year after her diagnosis, and with some experimentation, Lauren got a glucose pump that can dose her regularly and monitor her blood sugar levels which means fewer needle injections. Lauren herself has also become a good monitor of her needs. “If my levels are too high, I get a headache. When they are too low, I get shaky,” Lauren said. The pump also allows her to partake of the things that were once denied her, like cake at a friend’s birthday party. While Lauren is taking on a new role as an ambassador, her precocious and outgoing personality serves her well. When she has friends over to visit or spend the night, she turns it into an educational experience. “A lot of my friends want to get tested when I do,” Lauren said. A diabetic alert dog would change her quality of life for the better still. The dogs are trained to sense drops and spikes in their owners’ blood sugar levels and can alert them to the coming problem, get help, or even retrieve a juice box for them to drink. While a diabetic alert dog will certainly help her personally, Lauren is already thinking about how she can use the opportunity to help others. She is currently working with the California Pizza location at Bridgeport Village in Portland for a year’s worth of fundraising activities. “We are looking for someone with a diabetic alert dog to bring to Bridgeport, and I want to be able to do that for other people with my dog when I get it,” Lauren said. To contribute to Lauren’s diabetes alert dog campaign, visit http://bit.ly/2mCwYag. Since December, a task force assembled by the Salem-Keizer School District has been meeting to come up with recommendations for how to deal with school overcrowding. On Monday, Feb. 27, the Long Range Facilities Planning Task Force held its final meeting and assigned a dollar figure to the work that needs to be done to increase capacity at the district’s overflowing schools: about $550 million. It will now be up to the Salem-Keizer School Board members to decide whether to pursue the full amount – or some portion of it – with a general obligation bond measure that will be put to voters. The overcrowding issues are most concerning at two district high schools, McKay and McNary. Both schools have grown well beyond their buildings’ capacity, even with portable classroom units stationed at each site. McKay is at 135 percent of its capacity without portables, McNary is at 119 percent without portables. Those figures drop precipitously with the use of portable classrooms, but portables do not address crowding in communal spaces like cafeterias, libraries, gyms and auditoriums. To address the issue for the next decade, the task force is recommending increasing the capacity of five district high schools from 2,000 students to 2,200 students. West Salem High School would be the only high school exempt from the increase. That’s in addition to improvements needed at a throng of elementary and middle schools (feeders schools) whose populations pool at the high school level. During the final task force meeting, discussions were wide-ranging and included topics like seismic upgrades, the need for further Americans with Disabilities Act compliance, and addressing specific classroom needs such as science labs and career technical education. If voters approve a general obligation bond, teams would be assembled at each targeted school to plan the way forward. On the topic of seismic upgrades Wolfe said the district is concerned with minimizing the loss of life over saving the buildings for reuse. “We’re not an organization like a hospital that needs to keep operating in an emergency. (Schools) aren’t built to the highest seismic standard,” Wolfe said. A subcommittee working on the question of whether to build a new high school or increase capacity at existing schools jettisoned the new high school idea. “Even if you went out for a new high school, there are still core infrastructure needs (at other schools) that need to be addressed,” said Mark Shipman, a member of the task force. Even though building a new school would be cheaper on paper, there would still be about $100 million in additional infrastructure work at other schools needs to be completed making it a more costly option in the end, Wolfe said. Two members of the task force expressed reservations about the final recommendation of expanding capacity. Task force member Lloyd Chapman and Steve Chambers said issues of equity are a major concern at larger schools. “Many of the studies I looked at talked about incremental differences when you increase populations. At lower socioeconomic levels, the academic results go down,” Chambers said. Chapman had reservations about moving forward on a plan without more detailed analysis of how expansion would be accomplished at each school. “I want to make sure we know how we would do things at North and South, and what do we do if we can’t (expand),” Chapman said. North Salem and South Salem high schools are two of the most landlocked campuses in the district. 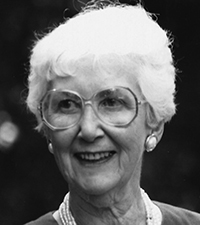 A celebration of life for Betty Corey will be held March 11, 2017, at John Knox Presbyterian Church 452 Cummings Lane N, Keizer OR at 2 p.m.
Betty, a long time Keizer resident, passed away on Dec. 31, 2016. She is survived by Donna Benjamin (Tom), Steven Corey, Patricia Newton (Richard); grandchildren Scott, Greg, Justin Benjamin, Travis, Sean and Adrianne Newton; great grandchildren Patrick, Kevin, Dakota, Nikki Benjamin; Joby (by marriage), Justin Ace, Lilliana and Grady Newton. The family is asking any donations be made to John Knox Presbyterian Church. Martin Leonard Matiskainen passed away on Feb. 18, 2017, because of a heart attack. He was 67 years old. He is survived by his wife Jill, daughter Nicole, sons Cory and Daniel, and his grandson William. After graduating with a bachelor’s degree in architecture from Montana State University, he moved to Keizer for job opportunities in nearby Salem. He held many jobs in architecture all throughout Salem, Keizer, and even Woodburn. Through his work, he joined the local Keizer Rotary Club where he wrote the Rotary newsletter for the Keizer chapter for many years. He eventually retired from the Rotary program after he retired from writing the newsletter. He retired from his career in 2016 at the age of 65. 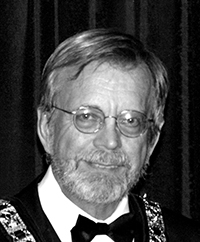 Matiskainen joined the Keizer Elks Lodge where he became an esquire, chaplain, and inner guard. He was also involved in the McNary High School Band Boosters while his children and grandson were in the program. He ran for Keizer City Council in 2008. Aside from his immediate family, Matiskainen was influential in many other peoples’ lives. Family came first with him and everything else was just a benefit of living. Whenever he was out and about and people asked how he was doing he would always respond, “I’m super fine, and yourself?” Then he would say, “Leastwise if I was having a bad day I would always be okie dokie.” He made people happy where ever he went, and will be missed by all. A Celebration of Life will be held at the Keizer Elks Lodge on Sunday, March 5 at 2 p.m. I am writing to voice my objections to Salem Mayor Chuck Bennett’s proposal to bring Uber and Lyft into this city without first trying to improve upon the current public transportation. It is no actual secret that a good chunk of people who live in this city, rely on a currently inadequate transportation system because the council is unable or unwilling to take actual steps to try and improve up on the system as it stands. Mayor Bennett has worked, it would seem, extremely hard to bring in ride share servers more than he has tried to improve the current system. True, the council is unable to make actual decisions and changes in this system but they are able to help move the conversation in the right direction and I feel personally that this hasn’t been done within the first few weeks of Mayor Bennett’s administration. The city is surveying utility payers about their level of interest in and support of Keizer’s 19 parks. Respondents are asked if they would support an addition of up to $8 per month to upgrade and maintain them. Neighborhood and regional parks are a key offering of a city’s quality of life. People like parks and they help maintain property values. Parks, both big and small, are the recreation hubs in our neighborhoods. The lack of entertainment and recreation options in Keizer have always ranked high on the livability surveys. Kids, especially teens, are notoriously hard to keep busy and engaged. Let’s face it, sometimes it is hard to keep grown-ups busy and engaged. Parks can go only so far. What if you are a household without access to a mountain or coastal cabin? What if you not a school or club sportsman? What can we do for those who live in Keizer, want to stay in Keizer, but need something fun to do? We should get whimsical. We envision play stations throughout Keizer, along River Road, at the Civic Center, at Keizer Station and other public spaces. What’s a play station? It can be a huge checkers board. It can be permanent chess tables throughout the city’s core (how about three at the McGee-Newton focal point at the corner of River and Chemawa Roads. It can be an over-sized Tic Tac Toe game,. It can be brain teaser puzzles that make passers-by stop and try to solve it. Establishing components of an urban play station can be part of any renewed River Road Renaissance—if a business wants to get a city loan to upgrade their commercial property they must add a play station. How would a series of urban play stations throughout the city be paid for? For starters, each station would have a fitness, educational, historical or art facet. Those are four areas is which grant money is available from a myriad of public and private sources. For stations situated in our parks, it can be funded with money added to the city’s utility bills (if that comes to pass). A renewed River Road Renaissance would have money available for stations along Keizer’s main thoroughfare. Virtually the whole world is beating up on the Trump administration for daring to predict that low marginal tax rates, regulatory rollbacks and the repeal of Obamacare will generate 3 to 3.5 percent economic growth in the years ahead. But what’s so interesting about all the economic growth naysaying today is that former President Obama’s first budget forecast roughly eight years ago was much rosier than President Trump’s. And there was nary a peep of criticism from the mainstream media outlets and the consensus of economists. Strategas Research Partners policy analyst Dan Clifton printed up a chart of the Obama plan that predicted real economic growth of roughly 3 percent in 2010, nearly 4 percent in 2011, over 4 percent in 2012 and nearly 4 percent in 2013. But it turned out that actual growth ran below 2 percent during this period. Was there any howling about this result among the economic consensus? Of course not. It seems it has saved all its grumbling for the Trump forecast. And what’s really interesting is that the Obama policy didn’t include a single economic growth incentive. Not one. Instead, there was a massive $850 billion so-called spending stimulus (Whatever became of those spending multipliers? ), a bunch of public works programs that never got off the ground and, finally, Obamacare, which really was one giant tax increase. Remember when Supreme Court Chief Justice John Roberts ruled that the health-care mandate was in fact a tax? But it wasn’t just a tax. It was a tax hike. 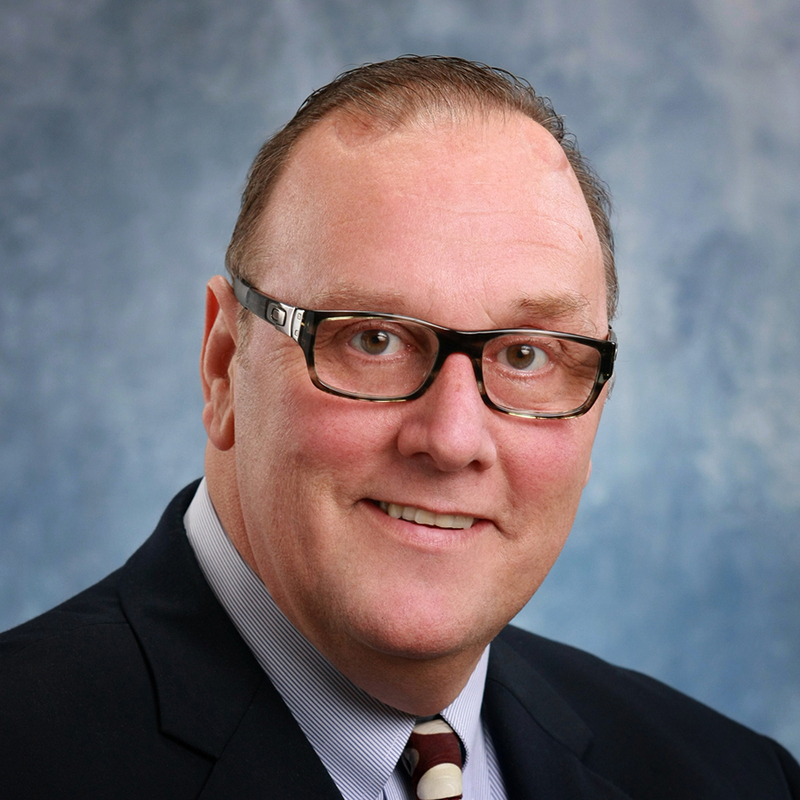 And added to that were a 3.8 percent investment tax hike, a proposed tax hike on so-called Cadillac insurance plans and yet another tax increase on medical equipment. So eight years ago, tax-and-spend was perfectly OK. And the projection that it would produce a 4 percent growth rate perfectly satisfied the economic consensus. So here’s President Trump reaching back through history for a common-sense growth policy that worked in the 1960s, when President John F. Kennedy slashed marginal tax rates on individuals and corporations, and again in the 1980s, when President Ronald Reagan slashed tax rates across the board and sparked a two-decade boom of roughly 4 percent real annual growth. But the economic consensus won’t buy Trump’s plan. One after another, Trump critics argue that because we’ve had 2 percent growth over the past 10 years or so, we are doomed to continue that forever. This is nonsense. Most of them point to the decline in productivity over the past 15 years. They say that unless productivity jumps to 2.5 percent or so, and unless labor-force participation rises, we can’t possibly have 3 to 4 percent growth. Stanford University economics professor John Taylor, who’s also a research fellow at the Hoover Institution, is one of the nation’s top academic economists. He released a chart on productivity growth that shows that productivity declines can be followed by productivity increases, which unfortunately can be followed again by productivity declines. In his widely read blog, Economics One, Taylor wrote one post titled “Take Off the Muzzle and the Economy Will Roar.” He notes that bad economic policy leads to slumping productivity, living standards, real wages and growth. He concludes, “To turn the economy around we need to take the muzzle off, and that means regulatory reform, tax reform, budget reform, and monetary reform.” Well, aren’t those exactly the reforms that President Trump is promoting? Get rid of the state-sponsored barriers to growth. Then watch how these common-sense incentive-minded policies turn a rosy scenario into economic reality. Two sets of remarks, a day apart, by two men more accustomed to being behind the scenes. Stephen Bannon, appearing at the Conservative Political Action Conference (CPAC), made the case for “economic nationalism” and called President Trump’s withdrawal from the Trans-Pacific Partnership “one of the most pivotal moments in modern American history.” The passage of the Civil Rights Act and the defeat of the Soviet Union finally have some company. As the ideologist in Trump’s inner circle, Bannon is a practitioner of Newt Gingrich’s mystic arts. Take some partially valid insight at the crossroads of pop economics, pop history and pop psychology; declare it an inexorable world-historic force; and, by implication, take credit for being the only one who sees the inner workings of reality. For Bannon, it has something to do with “the fourth turning,” or maybe it is the fifth progression, or the third cataclysm. At any rate, it apparently involves cycles of discontent and disruption. Lots of disruption. Across the West, as Bannon sees it, the victims of globalization—the victims of immigration, free trade and internationalism in general—are rising against their cosmopolitan oppressors. Institutions will crash and rise in new forms. And this restless world spirit takes human form in… Nigel Farage and Donald Trump. But there is a problem with the response of economic nationalism and ethno-nationalism. It is morally degraded and dangerous to the country. Which brings us to the second set of remarks, at a State Department retirement party, complete with cake. This speech was from one of the most distinguished diplomats our nation has recently produced, Ambassador Dan Fried. Fried was on diplomatic duty for 40 years, focusing mainly on Europe. He was ambassador to Poland and pulled into the White House as a special adviser on Central and Eastern Europe to both Bill Clinton and George W. Bush. Most populists would probably view Fried as the pin-striped enemy. I came to know him in the Bush administration as a freedom fighter, deeply and personally offended by oppression. He had been an enemy —not an opponent, but an enemy—of the Soviet Union, and remains a committed friend to 100 million liberated Europeans. This is a foreign policy cycle more substantial than the “fourth turning.” The disrupters of international order —the liberal democratic order built and defended by FDR, Truman, Kennedy and Reagan—are thoughtless, careless and reckless. And they must be resisted. The founding fathers of the ethno-state are also in violation of the country’s defining values. The United States was summoned into existence by the clear bell of unifying aspirations, not by the primal scream of blood and soil. And this great ideal of universal freedom and dignity is not disrupted; it disrupts. Everyone likes to win—an award, a ribbon, a title, a contest. The recent Academy Awards made me think about the awards and honors I have won. It was my first award that was like winning an Oscar. I had won a contest or two before my big win on May 19, 1976. In second grade at Keizer Elementary School I won a coupon for a free 19¢ burger at Bob’s Burgers for having my poster design chosen as the winner. I can’t even remember what the topic was—don’t care; I won. By 1976 I had traded in my academic pursuits for the glory of the stage. By the middle of my junior year I was a part of the drama department; I was no drama geek, per se, I had other interests as well. By the time my high school career was ending I had trod the boards as Man in Subway in Bells Are Ringing, the lead in You’re a Good Man, Charlie Brown, and as Lt. Frank Burns in our high school production of M*A*S*H—it’s hard to picture a school approving it these days. I was the all-singing, all-dancing lifeguard in No, No Nanette. At the end of the school the drama class/department held an irreverent awards program, set up in such a way that every graduating senior got some sort of an award. At the awards dinner in my senior year, my classmates won this award and that award, even my younger brother won a best actor award for a role that mirrored Woody Allen. All the awards had been presented. Except one. Each year the teacher, Al Osburg, gave out The Ozzie, an award he personally gave out. It is still hard to discern what the criteria was for the award. Mr. Osburg gave a few remarks and said the winner of The Ozzie is…me. I rose and walked to the dais to thunderous applause from the 40 or so people in attendance. The award was basically a trophy with a rendition of the sad/happy masks on top where the bowler or the batter would normally be. I was happy to win. I was emotional; I cried and I thanked the people in the room for giving me a home in high school. Winning never gets old. I didn’t win anything again until years later. I was honored with awards from some entries into a state-wide contest by the Oregon Newspaper Publishers Association. I, like everyone else, likes to win things. When I was a Toastmaster with a Salem club, 10 of my required speeches won nine blue ribbons. Just as the theatre department was a welcome fit in my final high school days, Toastmasters filled a need and did help with public speaking. Though I haven’t been a member of Toastmasters for a number of years, I do use what I acquired in that organization every day—that was my lasting award. I don’t win every time. There are honors or awards over many years I wish I had received. But like they say at the Oscars and other awards: it nice just to be considered. A segment of the public decries the awarding of green ribbons so everyone feels like a winner and no one is loser.